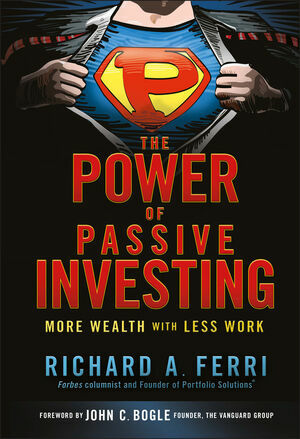 RICHARD A. FERRI is the founder of the investment firm Portfolio Solutions® and a Forbes writer. Portfolio Solutions manages nearly $1 billion in separate accounts for high-net-worth individuals, families, non-profit organizations, and corporate pension plans. Ferri has written or cowritten six investment books, including the Wiley titles The ETF Book and The Bogleheads' Guide to Retirement Planning. He earned a bachelor of science in business administration from the University of Rhode Island and a master of science in finance from Walsh College. Ferri is also a CFA Charterholder as designated by the CFA Institute, a global association of investment professionals. For more information, visit www.RickFerri.com and www.PortfolioSolutions.com. PART I THE ACTIVE VERSUS PASSIVE DEBATE. Chapter 1 Framing the Debate. Chapter 2 Early Performance Studies. Chapter 3 The Birth of Index Funds. Chapter 4 Advances in Fund Analysis. Chapter 5 Passive Choices Expand. Chapter 6 Portfolios of Mutual Funds. PART II CHASING ALPHA AND CHANGING BEHAVIOR. Chapter 7 The Futility of Seeking Alpha. Chapter 8 Active and Passive Asset Allocation. Chapter 9 Changing Investor Behavior. PART III THE CASE FOR PASSIVE INVESTING. Chapter 10 The Passive Management Process. Chapter 11 The Passive Case for Individual Investors. Chapter 12 The Passive Case for Charities and Personal Trusts. Chapter 13 The Passive Case for Pension Funds. Chapter 14 The Passive Case for Advisors.